Shades of Faubus: A school board defies a judge’s order. At a recent hearing, the school board unanimously refused. Instead, the board wants to implement what it calls “alternative governance” reforms: a somewhat longer school day, a “technology infusion into the classroom,” better training of teachers, and a “community advisory committee” to oversee such changes. That is, the board wants to keep tinkering around the edges of a school that’s been classified as failing for six years in a row, with 70% of sixth-graders not proficient in English or math. The board insists that it is following the law—notwithstanding board member Jermaine Wright’s vow to stand in the schoolhouse door in handcuffs. The board’s line is that because the new school year is about to begin, it’s too late for Desert Trails to become a charter school. But the parents aren’t aiming for this year. They want to solicit charter offers for next year. Naturally, the board says next year is also impossible, because that will be too far removed from when the parents filed their petition in January 2012. So having obstructed the parents for as long as legally possible, the school board turns around and says too much time has passed for the “trigger” to still be relevant. This is an invented standard that no law or regulation empowers the board to apply. And it follows last month’s court order that slapped down the board for its “abuse of discretion” in trying to disqualify parents’ petition signatures. The parents of Adelanto will now have to return to court to enforce the victory they have already won. One appropriate response would be for San Bernardino County Superior Court Judge Elia Pirozzi to take Mr. Wright up on his offer and jail him and the rest of the board for the contempt they are clearly showing to the court. Another would be to have senior political figures in the state speak up on behalf of the parents against such school-board bullying. Why isn’t Governor Jerry Brown or Lieutenant Governor Gavin Newsom holding a press conference in front of Desert Trails Elementary? Education reform is the civil rights issue of our time, and union obstructionists are the equivalent of Orval Faubus, the Arkansas Governor who tried to block school integration after Brown v. Board of Education in 1954. They should be treated with the same moral contempt that they apparently hold for the law and for the children of Adelanto. A version of this article appeared August 28, 2012, on page A14 in the U.S. edition of The Wall Street Journal, with the headline: The Parent-Trigger War Escalates. California enacted this reform as an unprecedented accountability measure in 2010. It allows parents of children in persistently failing schools to force dramatic change through petition drives. If a majority of parents at a school sign a petition, they can close that school, shake up its staff, or convert it to a charter. At least that’s the idea. But implementing the law requires some minimum cooperation from the local school establishment, which in California has resisted parent trigger from day one. That’s how the parents of Desert Trails Elementary School ended up in court. With their school classified as failing six years in a row, and 70% of sixth-graders not proficient in English or math, the parents of Desert Trails filed a trigger petition in January with 466 signatures, or 70% support. The local school board then asserted that the trigger drive had only 37% support. Some petitions had errors or omissions, the board said, and nearly 100 were no longer valid because parents had rescinded their signatures. These rescissions followed an orchestrated campaign of intimidation at Desert Trails and across the community. Parents heard—from strangers who wouldn’t identify themselves—that the trigger would close Desert Trails immediately, or result in their children’s expulsion, or even put their own immigration status at risk. Such untruths had circulated around previous school-choice efforts, and they spread rapidly in a few crucial days—all of which suggested the strong arm of the California Teachers Association and its local allies. The ruling effectively hands Desert Trails to the parents, ordering the district out of their way as the judge says they can “immediately begin the process of soliciting and selecting charter school proposals.” This represents a potentially revolutionary power shift. For all the PTA meetings and solemn assurances from superintendents and union leaders that parent input into public schools is sacred, the ability of parents to force change has typically been nil. For kids in failing schools it’s unfortunate that California’s law took two and a half years to bear first fruit, but such is the reactionary power of unionized bureaucracy. The reform effort will require many more parents to pull their triggers—in California, and in the roughly 20 states considering parent-trigger laws. But this week’s court victory is a welcome precedent. A version of this article appeared July 24, 2012, on page A14 in the U.S. edition of The Wall Street Journal, with the headline: A Parent Power Watershed. A ‘radical’ reform goes mainstream, (but New York State retreats). The U.S. is stress-testing Herbert Stein’s law like never before, but maybe the economist’s famous dictum—trends that can’t continue won’t—is being vindicated in education. Witness the support of America’s mayors for “parent trigger,” the public school reform that was denounced as radical only a few years ago but now is spreading across the country. Over the weekend in Orlando, the U.S. Conference of Mayors unanimously approved a resolution endorsing new rules that give parents the running room to turn around rotten schools. At “persistently failing” institutions, a majority of parents can sign a petition that turns out the administrators and teachers in favor of more competent hires, or dissolves the school, or converts it to a charter. 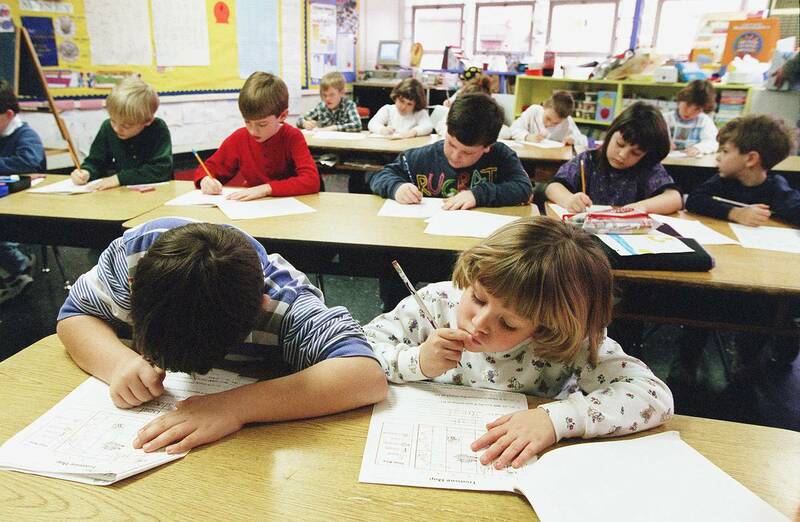 Teachers unions loathe this form of local accountability. The mayors note that this reform is targeted at the 2,000 or so high schools that count as “dropout factories,” where more than 40% of the freshman class fails to graduate. Most are in poor or minority zip codes where kids and parents have no other options. These 2,000 schools produce—if that’s the word—51% of U.S. dropouts. The endorsement push was led by Antonio Villaraigosa of Los Angeles—the union bosses are an “unwavering roadblock to reform,” he said—as well as Michael Nutter of Philadelphia and Kevin Johnson of Sacramento, liberals all. Most of the mayors are Democrats. Parent trigger was a California inspiration, instituted in 2010 despite opposition from unions, which are suing to stop its implementation in the cities of Compton and Adelanto. It has since spread to Texas and Louisiana and variants are under consideration in 20 states. The mayors’ vote of confidence is symbolic, since parent trigger typically requires the approval of state capitols. But it is still politically significant as another sign of how much the education reform debate has changed. Liberal mayors would never have dared to challenge union power even a few years ago, but now they see charter schools, parent trigger and even vouchers as a chance to side with parents against an increasingly unpopular special interest. Not that Nirvana has arrived, as New York is proving. 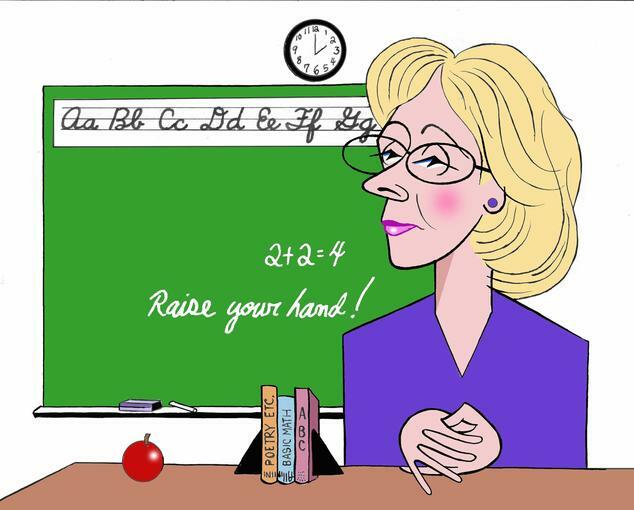 On Tuesday state officials in Albany announced that they had reached a deal to avoid making teacher evaluations public. Parents will only be allowed to view the performance ratings of their kid’s specific teacher, but not the ratings of her colleagues or those in future grades. In other words, parents can’t use the information to make a better choice if by chance they end up with a lemon. The rest of the public will be allowed access to the information in the aggregate, but not by name. The double helix of union power and bureaucratic inertia explains why public schools have been immune to reform for so long. The growing consensus behind parent trigger and other reforms shows that while change is slow, at least it is possible. A version of this article appeared June 21, 2012, on page A16 in the U.S. edition of The Wall Street Journal, with the headline: Notes From the Education Underground.